Looking for a dessert with a little kick to it? 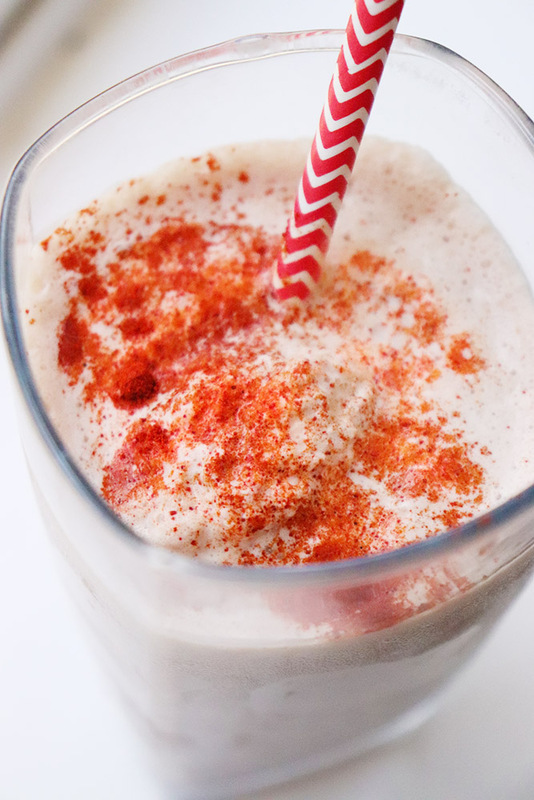 This New Mexican-inspired Chocolate and Red Chile Milkshake recipe is what you’re looking for! We started a new routine where every Wednesday night, we try a new restaurant we’ve never been to. A couple months ago, after driving by a restaurant that was shaped like an owl, we decided to stop there for dinner. And yes – if you haven’t been near Eubank and I-40 in Albuquerque, there is actually a restaurant shaped like an owl! The Owl Cafe has been around since 1986. The interior of the restaurant is reminiscent of a diner, with a collection of owls adorning shelving at the top of the room. They encourage children who visit to “count the owls” and tell a server how many they counted. The kid gets a prize if they get it right! They serve a variety of New Mexican favorites, like the green chile cheeseburger and carne adovada plate. They also serve specialty shakes, like the New Mexico Red. I’ve been sort of obsessed with the idea of a chocolate and red chile milkshake since our visit, so I decided to make a version at home! 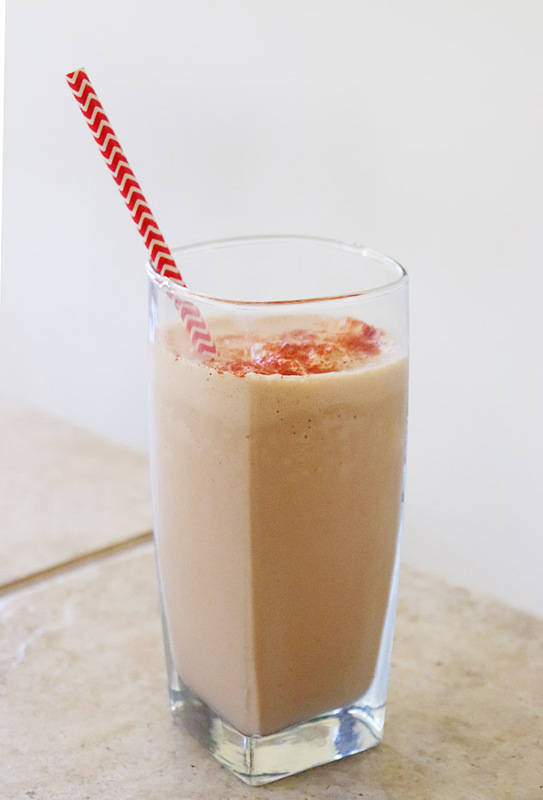 If you want to try a rich ice cream milkshake with a red chile kick, you’re at the right place! Below is an easy-to-follow recipe. This is a really simple recipe to put together. You combine 3 cups of vanilla ice cream (we made our own homemade vanilla ice cream, but you can certainly use store bought! ), 1/2 cup whole milk, 1/4 cup chocolate syrup, and 1/2 – 1 tsp of red chile. I found that 1/2 tsp of red chile will give you the chile flavor, with a very mild heat. If you want it a little spicier, go up to a full teaspoon. Just remember — you can always add more red chile, but you can never take it away after it’s been added. The ingredients get blended together, and you can sprinkle a little red chile on top. And that’s it! 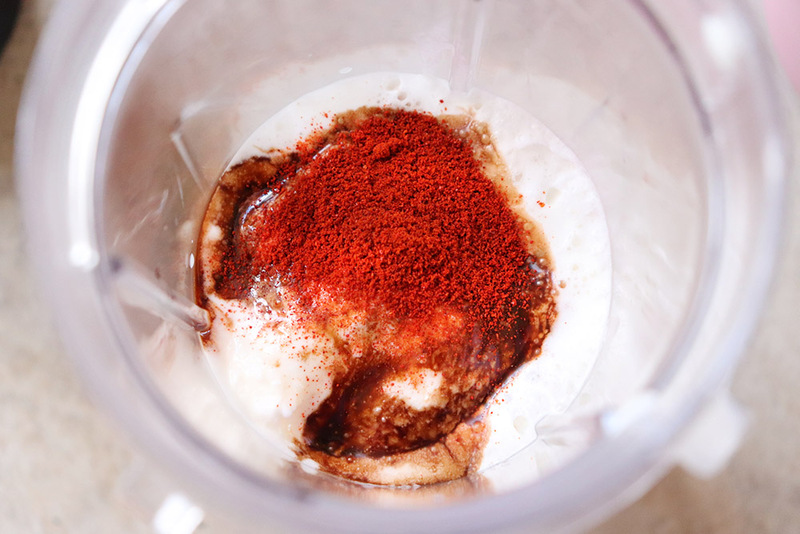 That’s how simple it is to make a chocolate and red chile milkshake! Cover and blend until you have a smooth consistency. Sprinkle a little red chile on top, if desired! Want to pin this recipe for later? Just click the image below to add it to your favorite red chile board! 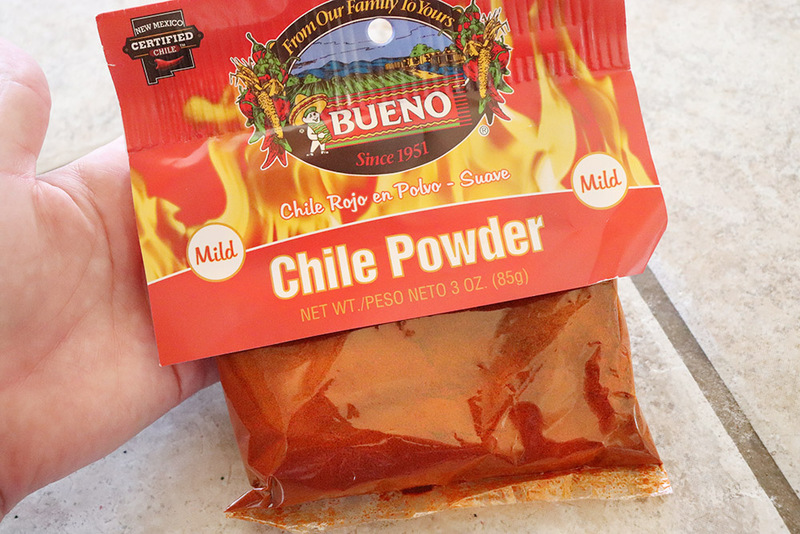 Love red chile? Check out these recipes!